Why buy your wedding decorations when you can make them yourself? Here are some great DIY ideas you can do to spruce up your wedding reception. 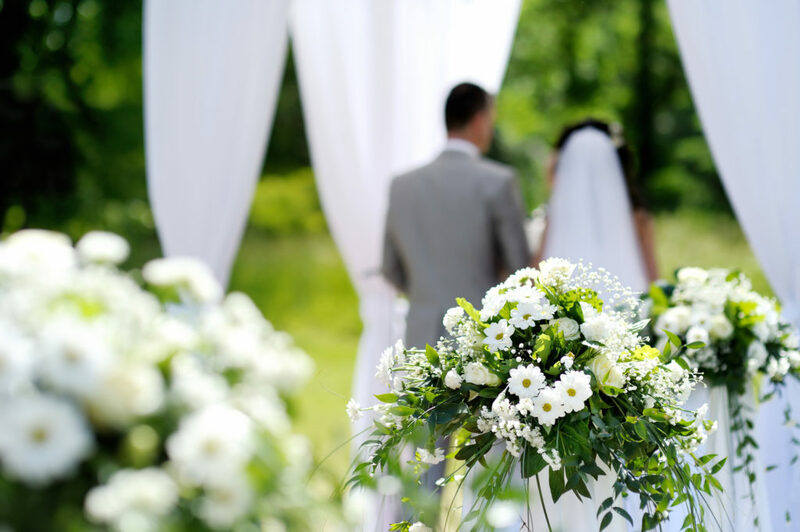 Your wedding day is undoubtedly one of the most memorable days of your life. But with this special occasion comes mountains of planning, coordination and a great deal of expense. It’s also a day you want to put your personal spin on, and depending on your budget, you have full license to be as creative as you please! One of the best ways to add to your own personal touch to your wedding day is to DIY your wedding decorations. It’s incredibly on-trend and the perfect way to feel like you have directly contributed to the planning of one of the most important days of your life. While DIY can take a fair amount of time in itself, here are a few simple, yet effective ideas for wedding decorations! Whether your personal style is country or vintage-inspired, modern or minimalist, these DIY wedding decorations will add a beautiful personal touch to your wedding reception. All you need is to set aside some time during your wedding planning, grab a basic toolkit, and let your creativity flow. So while you are planning your fun bridal party reception entrance songs, here are a few DIY tasks to consider planning too. Right on-trend for wedding receptions of today is the theme of lush greenery and simple floral arrangements. If you’re looking to cut back on your paper usage and costs, this unique table leaf menu is the way to do it! Instead of printing out individual menus to be placed at each seat, use the leaves from a large leaf plant, such as a fiddle fig. A gold paint pen and some calligraphy handwriting can make a real statement and add a beautiful personal touch to your wedding decorations. Fake flowers at a wedding? Won’t it look a little tacky? Surprisingly not! Another great way to cut back on costs and add a personal DIY touch to your wedding decorations is by creating your own floral wreaths. These can be used as part of a backdrop behind the main table or even as a photobooth backdrop. The great thing about fake flowers is that you can prepare these weeks in advance, set aside and hang them when setting up. Now, this idea may require a little extra planning ahead of time, but is sure to make a simple, yet effective statement. All you need to do in the lead up to your big day is start collecting unused glass bottles. These can be spray-painted in a metallic paint for a bit of urban-inspired flare to add to your centerpiece arrangement. Spray-paint your glass bottles only halfway up to create a two-tone glass and metallic effect and then use as a DIY candelabra. For truly effective DIY wedding decorations, nothing says ‘personal touch’ more than handmade floral spheres. These floating floral spheres create a dreamy, romantic feel to any space and can be easily personalized with all your favorite blooms. Hang them above your main table, as part of a backdrop or from the ceiling throughout your venue. The ideal flower to use would be hydrangeas, arranged around a floral sphere which can be found at most florist stores. If lush greenery is more your speed for your wedding reception, DIY garlands make a lovely statement, without breaking the bank. You will need some form of hardy greenery to create your DIY garlands as well as some twine and florist’s wire. Drape your garlands down the middle of each table, hang above your main table or drape over an arch for the perfect photo backdrop. If you’re looking to add a touch of glamour and sparkle to your reception, DIY gilded balloons are the perfect addition. You will need some clear or white balloons, which then need to be dipped into liquid gold leaf, or simply spray-painted gold. Use as a fun yet glamorous addition to a photo backdrop area, drinks station, or let them float and decorate the ceiling. If your budget is a little tight when it comes to alcohol, a great way to cut back on costs is to use a pre-made cocktail stand. Begin collecting unused mason jars a few months prior to your wedding and create a cocktail stand which is both decorative and practical. You can use an old ladder or some unused shelving as your stand, and pack it full of pre-made cocktails as a welcome drink for your guests. Create a floaty, dreamy feel to your venue with DIY chair backs crafted from strips of ribbon. If the idea of traditional wedding chair covers gives you chills, these ribbon-tied chair backs are a little more personalized and fun. This may sound like a lot of work, but using wrapped wire ties which simply hook onto the back of each chair makes the process quicker. Use alternating colors of ribbon according to your wedding colors and place on every alternate chair. Looking for a fun, yet simple way to create an effective photo backdrop for your guests? Paper lanterns are your answer. Instead of simply hanging them at different heights, try stacking them on a dowel on top of each other to create large lantern columns. You can create three to four lantern columns and set them aside as a designated photo area for your guests to enjoy. To create the grand exit you’ve always dreamed of, make sure your guests have access to a handy sparkler kit. Prepare your sparklers ahead of time with quick instructions on how to use them and place in a basket near your exit. Make sure your sparkler stand has a sign so that guests know to take one as they are lining up to leave. If you’re looking for information on everything to do with travel, business, technology, fitness and health, A Million Lives offers it all. We are a one-stop portal for information on daily hacks relevant to a number of industries. Looking for more DIY / home improvement tips? Visit us here.